HOUSTON (CN) – Former U.S. 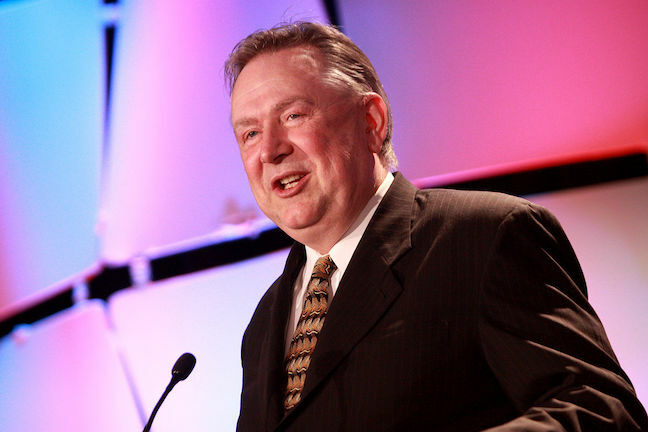 Congressman Steve Stockman’s defense attorney tried to undermine a star government witness Monday, asking the onetime Stockman aide why he gave FBI agents conflicting stories about his role in what prosecutors call a campaign-finance scam. Stockman, 61, is facing a 28-count indictment accusing him of fraudulently soliciting $1.2 million in charitable donations from two wealthy businessmen to pay for his campaigns and personal expenses. If convicted of the felony charges, he could spend the rest of his life in prison. Former staffer Thomas Dodd pleaded guilty in March 2017 to mail fraud, wire fraud, and lying to the Federal Election Commission, and agreed to testify against Stockman. Stockman is also charged with lying to the FEC. Dodd testified last week that he was “shell-shocked” when Stockman asked him and longtime Stockman congressional aide Jason Posey to break the rules during a walk around the U.S. Capitol in early 2013. According to Dodd, Stockman said he was having trouble paying off some debts for the 2012 campaign that got him elected to Congress for the second time. Stockman, a Republican, represented southeast Texas districts in the U.S. House of Representatives from 1995 to 1997 and 2013 to 2015. Dodd testified that Stockman asked him and Posey to help funnel $15,000 – $7,500 each – to Stockman’s campaign. Dodd said Posey immediately agreed to do so, but he did not. Dodd said Stockman insisted he go along with the scheme. “Stockman said no one would find out. And if they did, he would take the fall,” Dodd testified. On the stand again Monday morning, Dodd said he knew the source of the $15,000 Stockman wanted for his campaign bills was Richard Uihlein. Dodd testified that in January 2013, he helped Stockman raise $350,000 from Uihlein, a Chicago businessman who makes large donations through his charity to conservative Republican causes, with the false claim that Stockman would buy a Washington townhouse to be a meeting place and dorm for young conservatives. Dodd testified last week that Stockman deposited the $350,000 into the account of Stockman’s sham charitable foundation, and that Stockman immediately wrote a $31,000 check to pay down Dodd’s credit-card debt. According to court testimony and records, Posey filed documents falsely stating the $7,500 in donations that both he and Dodd made to Stockman’s campaign were from Posey’s father and Dodd’s mother. In an amended report filed in October 2013, Dodd and Posey acknowledged that they had actually made the contributions. Stockman fired them after media reports came out about the amended filings. But Dodd testified that Stockman rehired him to work on Stockman’s failed race against longtime incumbent Texas Senator John Cornyn, the Senate majority whip, in the March 2014 Republican primary for Cornyn’s seat in the U.S. Senate. During cross-examination Monday morning, Stockman’s defense attorney Sean Buckley focused on Dodd’s recollection of the FBI’s investigation into the campaign-finance issues. Buckley said federal agents visited Dodd’s home in Virginia in early October 2016, and Dodd told the agents that he and Posey had first discussed the idea of donating to Stockman’s campaign in Posey’s car. “That’s not correct,” Dodd said. “So the first time was when you walked around the Capitol with Stockman and he brought it up?” Buckley said. “On Oct. 19, 2016, you told FBI agents and federal prosecutors for the first time that it was Stockman who brought up the idea,” Buckley said. Dodd said he did not remember giving FBI agents two different versions of the campaign-funding story. “You indicated that you were shell-shocked that this meeting was taking place, so shell-shocked that you didn’t remember it during your first meeting with the FBI?” Buckley asked. “I don’t recall the first meeting,” Dodd said. Buckley asked Dodd if he was on any medications when he worked for Stockman. Dodd said he was taking one for his prostrate, but denied Buckley’s suggestion that he was also taking medications for his mental health. Posey and Stockman were indicted by a federal grand jury in March 2017. Posey pleaded guilty last October to mail and wire fraud and money laundering. He is also scheduled to testify against Stockman this week. Now in its third week, Stockman’s corruption trial has featured testimony from an FBI forensic accountant, who said she tracked how Stockman spent $150,000 that Baltimore money manager Stanford Z. Rothschild donated to Stockman’s nonprofit from his charitable foundation in 2010, intending that it be spent on voter education. Rothschild died in 2017 at age 91. The FBI accountant testified that Stockman used Rothschild’s charitable donations to pay for trips to Disneyland, credit card debts, purchases at electronics stores and Walmart, airline tickets, dental, medical and power bills, charges at a tattoo parlor in Venice, Calif., and several purchases from SkyMall with Rothschild’s charitable donations. The government claims Stockman defrauded Uihlein of $800,000, and Rothschild of $450,000, from 2010 to 2014. Two men have also testified that Stockman hired them to dig up dirt on Texas State Representative James White, who Stockman saw as a potential rival for the 2014 Republican primary election for the U.S. Senate. Stockman planted one of the men, Shaun Adeleye, as an intern in White’s office in Austin, and had the other, Stockman campaign volunteer Jonathan Clark, trail White, according to their trial testimony. U.S. District Judge Lee Rosenthal said she hopes to get through the witness testimony by early next week.